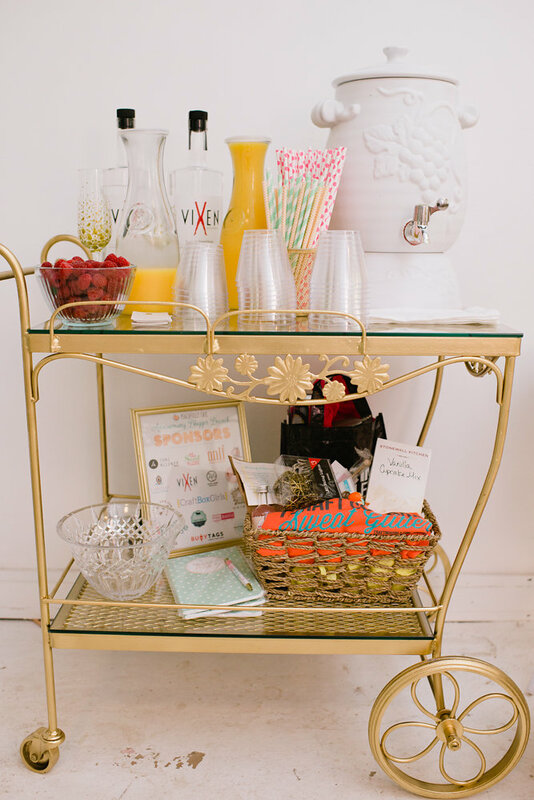 I recently shared an overview of Bar Cart History and some styling inspirations of carts I’m currently coveting… if you missed it you can check it out here. 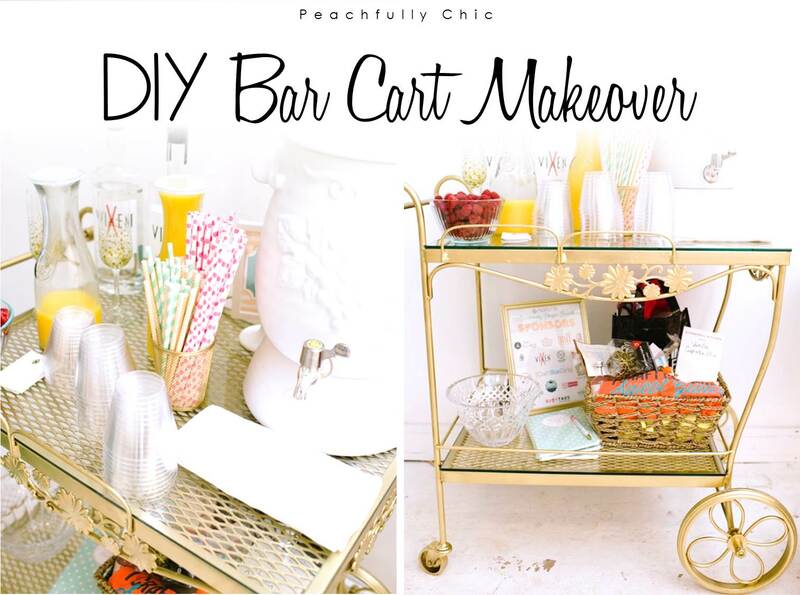 I also teased with you that I would be sharing a fun DIY Bar Cart Makeover to add a whimsical touch of custom home decor. 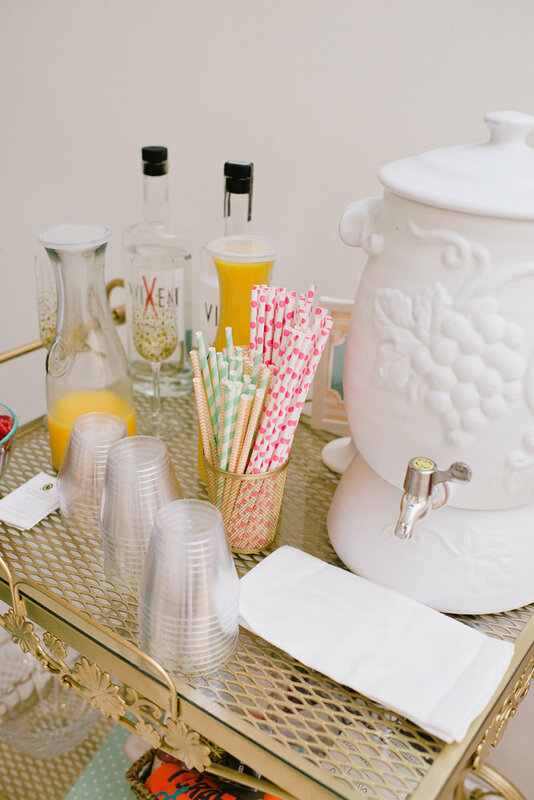 Prior to the Peachfully Chic First Anniversary Brunch I hosted last May, I decided I wanted to pick out a bar cart to house all the refreshments but had a tough time finding something that fit my taste for both high quality and inexpensive. 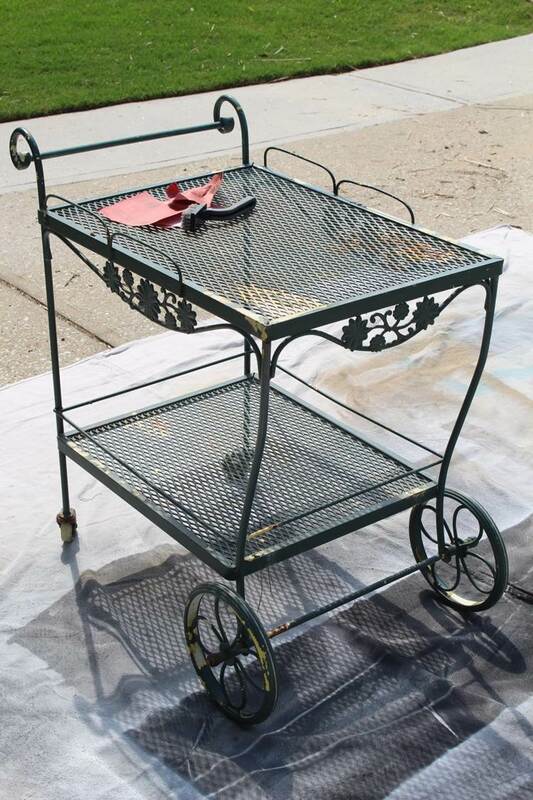 So after a little brainstorming, my mom suggested that I give a facelift to the much neglected vintage bar cart that was sitting on my grandmother’s patio back in Augusta. 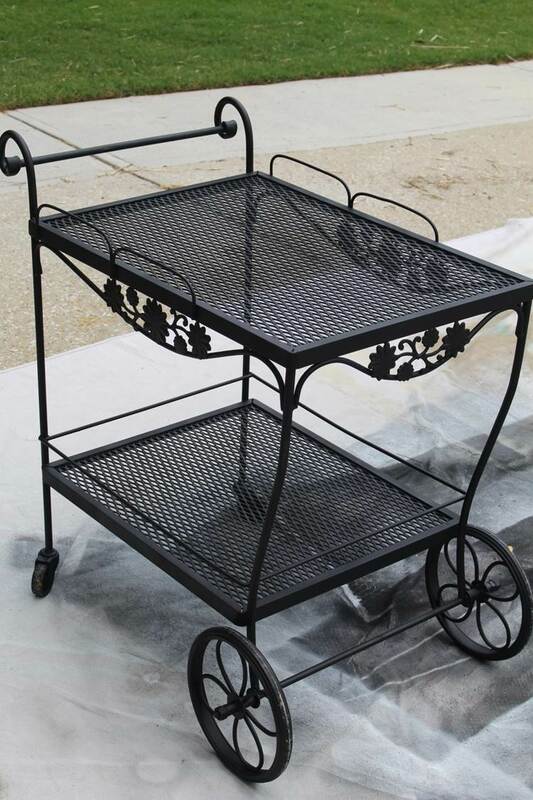 I had always remembered seeing the bar cart with matching bistro table and chairs, and was thrilled with the idea of reviving this beautiful piece. Before using the cart at the PC Anniversary Brunch, it needed a little TLC and some good old fashioned elbow grease to really make it shine. 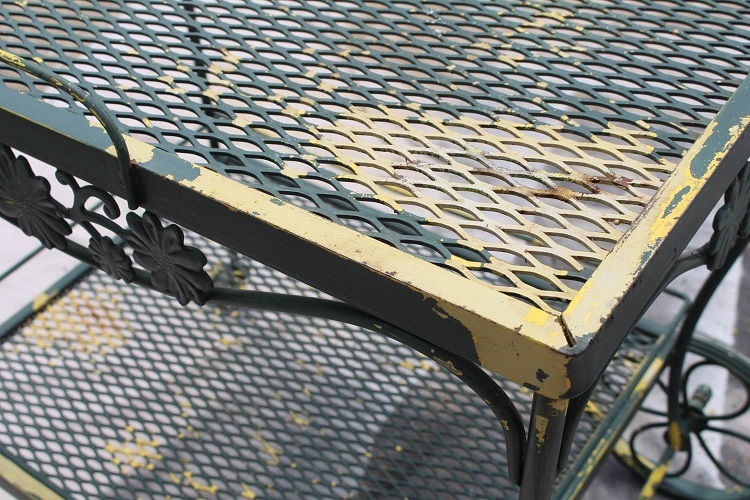 The hunter green paint was peeling away to reveal an old canary yellow coat of paint from it’s previous life complemented by more than a few rust spots. For starters, I had to make sure I had all the supplies I needed. 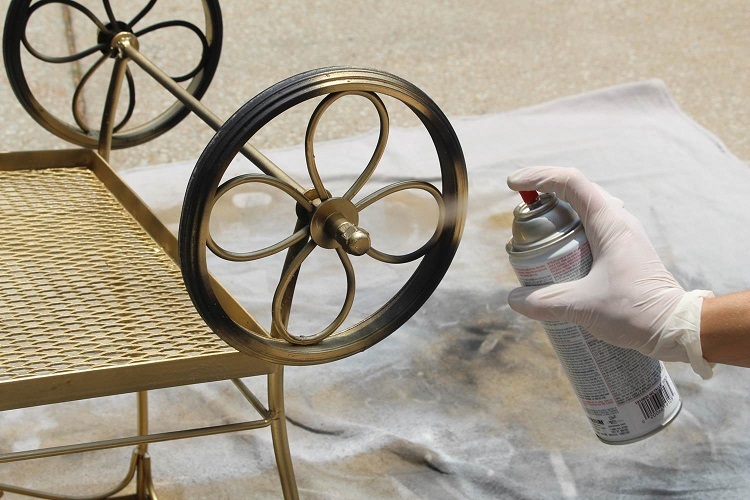 A wire bristle brush & sandpaper to scrub off the loose rust, an old rag and some water to wipe down the loose dust and dirt, black rust reformer Rust-oleum, and my go-to gold Rust-oleum spray paint. 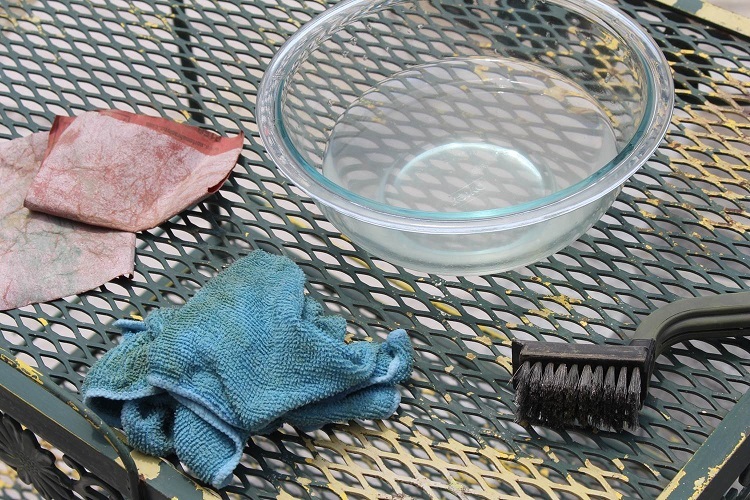 After scrubbing and sanding down the entire bar cart, I gave it a thorough wipe down with a water & vinegar solution to clean it up a bit. 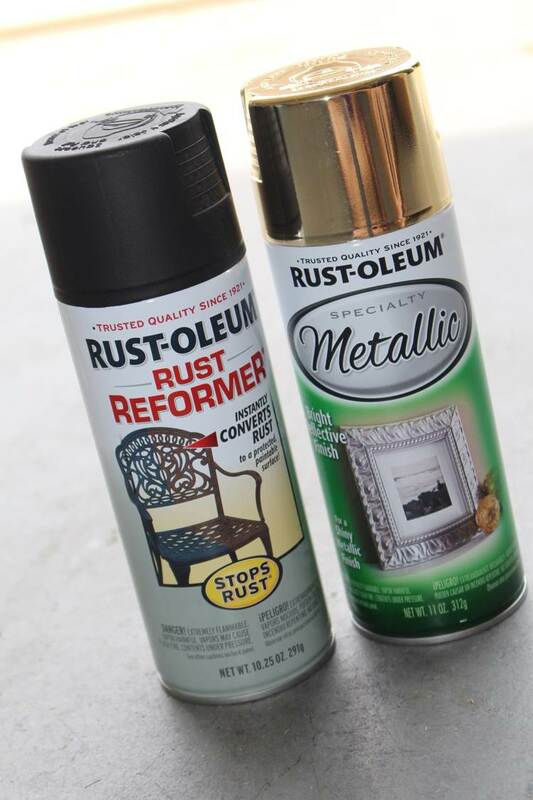 Next, I sprayed the rust reformer all over as a quick protective coat before moving to the glamourous gold. 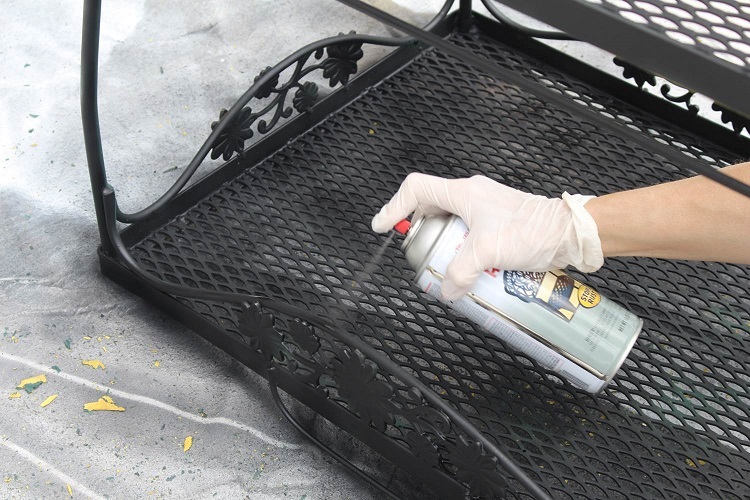 I tried to make sure I made thin layers that dried quicker to make sure I covered all the black from the rust reformer. Although this was not a part of the original design, I decided to have a local glass shop cut some 1/8″ glass sheets for the top and bottom of the barcart. 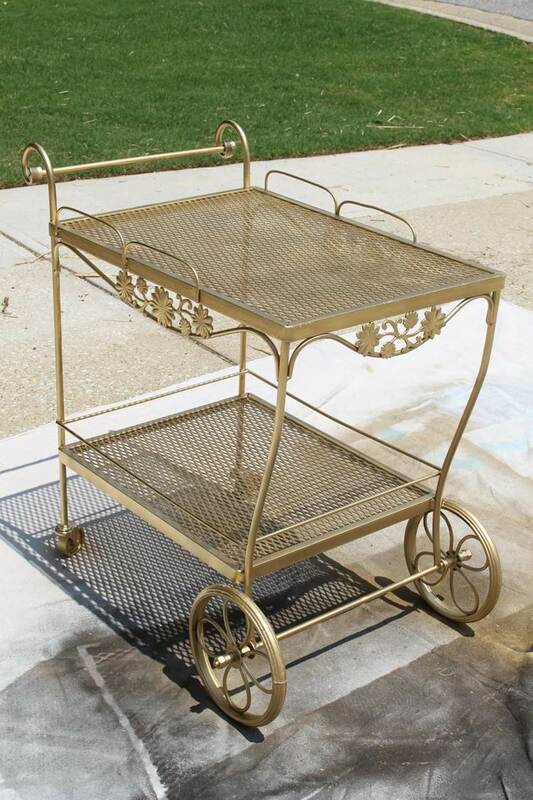 The gold bar cart is so beautiful and best of all, full of memories! 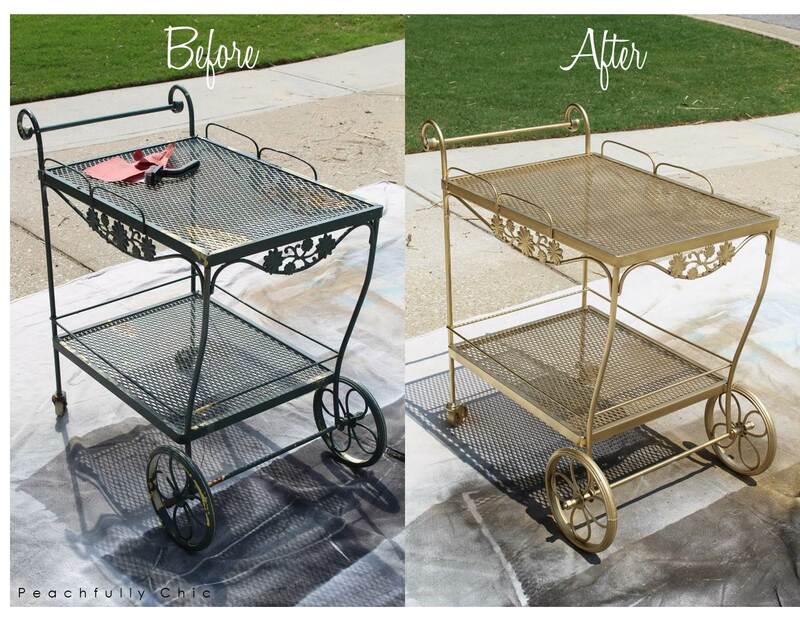 I love how a simple DIY can bring an antique piece back to life! Love what you’ve done with it! I hunted high & low for a bar cart in the UK to do up but really struggled to find something I liked the shape of. I think it’s great when people upcyclye items with memories attached to them!